In conjunction with Strolling of the Heifers weekend, we proudly present the exhibit Bounty of the Northeast, starting during our Street Festival (Friday, June 5, 5:30-8:30 p.m.) at the River Garden. The Gallery’s normal hours will be Monday-Friday 9 a.m.-4 p.m. and Saturdays 10 a.m.-4 p.m. (except during special events at the River Garden). Open Sundays by chance. At the end of June, Bounty of the Northeast will move to the halls of Brattleboro Memorial Hospital. On June 24, the Gallery will also welcome a new display featuring photographic works by John Nopper and Jeffrey Lewis. I grew up with Cris Kossow, we were friends in elementary school. We spent many an afternoon in her room drawing and reading True Confessions. We both became graphic designers and over the decades we kept in touch, and as we aged into our 6th decade we both took up fine art professionally. She works in pastel and I work in oil. Catherine Nunn and Linn Bower I met while taking painting workshops at Village Arts of Putney. Both turned out to be great friends and painting buddies. Karen Becker and I painted Plein Air for many summers in the 80s before I had to put down my paints and focus on being a Mom and homemaker. I have fond memories of Karen and I painting our “swimming hole” series. We would show up at the destination with delicious snacks and eat and paint all day. We thought we had the best job in the world. New Englanders live in one of the most beautiful places in the country. When I think about the bounty of the Northeast as a painter, what resonates with me is the quality of the Air. How lucky are we to live in a place that has such beautiful clean Air? Go for a walk in the woods and you’ll see what I mean. We are also blessed to have the most abundant supply of spring fed Water. Everything grows because of Air and Water, and, of course sunlight too. The light in New England comes in many varying types. Did you know that there is an all but invisible network of fungus that lives underground and keeps the forests healthy and alive? We are all here, in this venue, and at this celebration of farming because of the Farms. Farming’s popularity was fading over the last decade until we woke up and realized what great opportunities we were missing, and thus the word “locavore” was invented. The “Bounty” in this show refers not only to our surrounding landscapes, but also to the bountiful produce of our local farms and gardens, and to the rich characters reflected in portraits of our friends and neighbors. Working with the Stroll is quite an honor, as someone who tries to live close to the land and by my heart. I try to live lightly on the planet. I am so pleased at what this organization is doing for the local farming community. Thank you, thank you, thank you. And of course we couldn’t have all of this without you, the people who live here, farm here, make art and food here and visit here. Neighbors, friends and visitors, I welcome you the Bounty of the Northeast. Cristine Kossow has lived her whole life alongside the Hudson River – except for a six year hippie hiatus on a farm in Maine. A Parsons trained designer, she always had enough freelance work to support her cycling career, which took her to Europe and around the US to race and party with a decidedly maniacal community of, well, maniacs. She now focuses her competitive energy in the direction of large rodents who have the wrong idea that the lush garden she nurtures is theirs. Apart from the occasional fur flying kerfuffle, life has settled into a rhythm of pastels, dog walks, deep friendships, sojourns to Malawi, Africa, playing hammer dulcimer, and more pastels. 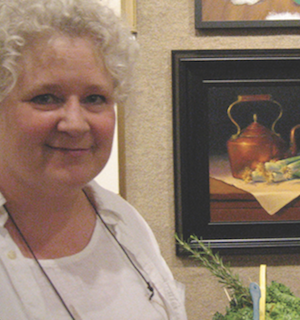 In October 2013, Cristine achieved Signature Status in the Pastel Society of America. She is also a member of the Connecticut Pastel Society. Like so many artists, Catherine’s parents would not allow her to pursue a career in fine art because it wasn’t a “real job,” so she went to Pratt Institute and got a degree in communication arts. After working for 25-years as a graphic designer in New York City and Washington DC, she decided to take a beginning painting class in an effort to reconnect with the passion and creativity she had in her youth. That first class was an epiphany, and she has not looked back since. She rediscovered her love of the old masters and follows the time-tested principles of good composition, draftsmanship, lost and found edges, correct values and color temperature. 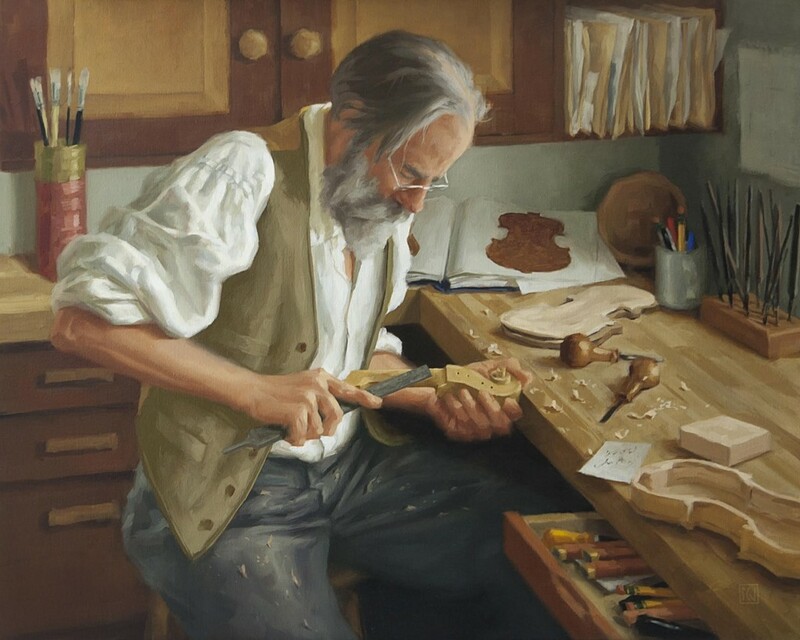 Recently, her portrait of Douglas Cox (“The Violin Maker”) won staff pick in the 2015 Portrait Society of America’s Members Only Competition. She is currently working on a commission of Stephen Stearns, founder of the New England Youth Theater. To see more of her work, visit her website: www.catherinenunn.com. 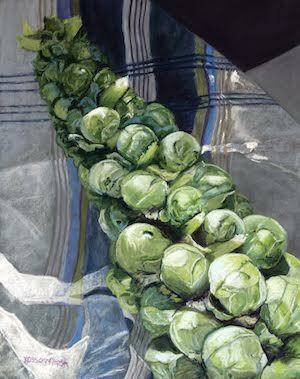 Deborah Lazar is a nationally recognized award-winning oil painter who makes her home in Vermont. She is a member of Oil Painters of America, American Women Painters, the American Impressionist Society, and the Academic Artists Association. She won an award in 2015 at a Pleinair painting competition in Tequesta, Florida. 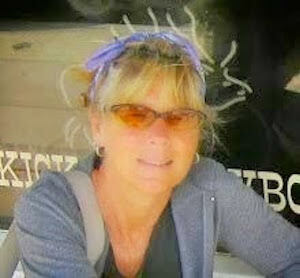 Her work has appeared in American Art Collector, and Plein Air Magazine. 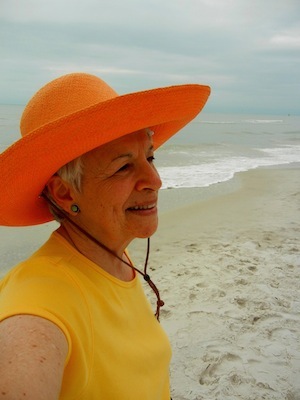 Her paintings were chosen in 2014 for the OPA exhibition, as well as the Hudson Valley Art Association. She has attended several juried Plein-air competitions including 4 pleinair events in 2014; Telluride CO, Jupiter FL, Castine ME, and Blackstone Valley, MA. She has studied with a number of internationally known artists attending workshops at the Village Arts of Putney, founded by Richard Schmid; including Nancy Guzik, Daniel James Keys, Michelle Dunaway, Casey Baugh, Albert Handell and Richard Schmid. She has also attended workshops with Jeremy Lipking, Scott Christensen, Dave Santillanes, Susan Lyon, Clayton Beck III, and has been a member of the High Street Painters portrait study group with Andrea Scheidler. Linn Bower calls herself an “accidental painter”, because what began as a curious adventure has resulted in a full time passion. She never had a formal art education, but has studied with Master artists including Rob Liberace, Dennis Sheenan, Nancy Guzik, Clayton Beck III, Michelle Dunawayand Diane Rath. Artistic influences are many and varied and include such giants as John Singer Sargent, Richard Schmid, J. Sorolla, and Van Gogh. Bower’s Galley representations include Vermont Artisans in Brattleboro, Imagine Gallery, Northampton, MA, and Salmon Falls Showroom, Shelburne Falls, MA. She won an Honorable Mention in a juried art show in Keene, NH. 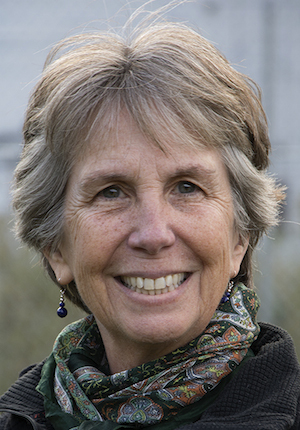 She donates her work to support local groups including ARise, Amherst, MA., Whole Children, Hadley, MA., Franklin Land Trust, and Charlemont Academy in Charlemont, MA., to name a few. She belongs to High Street Painters, Brattleboro, Top Floor Painters, Amherst, and The Deerfield Valley Art Association. Karen Becker received a BFA in Graphic Design from Pratt Institute. Becker worked for WNET in NYC as an illustrator and photographer; on Madison Avenue as a typographer for Ogilvy and Mather; and in publishing including a stint with Rolling Stone. Since moving to Vermont 30 years ago Becker divides her time working as a painter, printmaker, watercolor teacher for adults, wedding photographer and community mural workshop leader with over 150 murals completed under her guidance in the last 25 years. One mural was dedicated in the court house in White River Junction by former Vermont Governor Madeline Kunin. Becker exhibits her art in galleries from Maine to New York City and received numerous grants and awards, including Keene State College Biennial; American Institute of Graphic Arts, NYC; Brattleboro Museum and Art Center-Solo Exhibit, Vermont Arts Council Creation Grant. 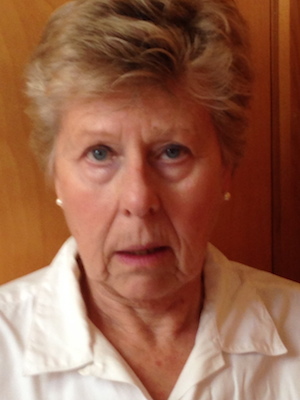 Her paintings are in over 300 private and public collections including Pratt Institute. One of Becker’s watercolor images was turned into glass sculptures by Venice glass artist, Pino Signoretto, those sculptures now reside in American collections.